The Tomb Raider movie series is coming back for round 2 with a sequel that's in the works. Over a year after Alicia Vikander first debuted as Lara Croft back in 2018 with Tomb Raider, it looks like Warner Bros. and MGM are working together once more on a sequel. This time around, it will have a new writer: Amy Jump, who was responsible for bringing High-Rise for Tom Hiddleston to fruition. Development is about to begin on the movie with Jump on board, according to Entertainment Weekly. There's no concrete information just yet on what kind of plot details we can expect, but we'd be willing to bet it will almost certainly include a big bad, a tomb, and Lara Croft swinging from ropes or taking out bad guys with guns. The first movie took inspiration from the reboot series, so it's likely this new movie will continue down the same path. 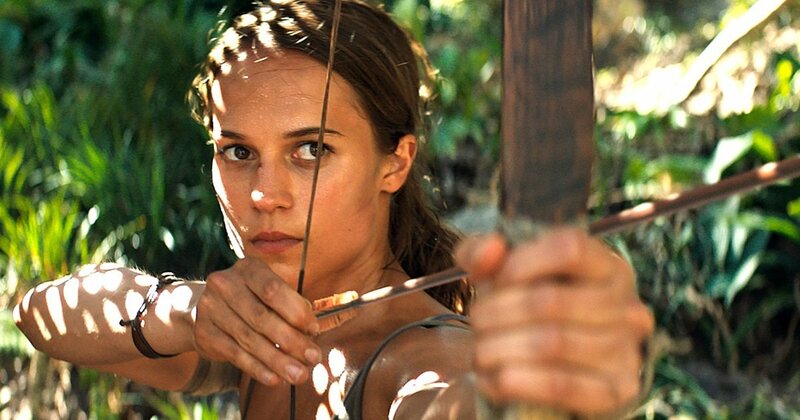 The first movie, which was directed by Roar Uthaug, found Vikander as Lara Croft on her way to the island of Yamatai to figure out where her father had disappeared to. It was a story ripped straight from the first Tomb Raider reboot, so gamers had something familiar to follow, even though the movie was a sight different than the Angelina Jolie movies. The movie ended up earning $274.7 million worldwide, but it wasn't critically successful. It's unclear if the sequel will conquer themes and plot details introduced in Rise of the Tomb Raider, the second game in the rebooted Tomb Raider series, but it seems like that's the next logical direction to go in. And if there's a movie sequel, could there be a third one as well based on Shadow of the Tomb Raider? We'll have to wait and see.